NKOTB FANS! The wait is over, our INITIAL tour dates have been announced!!! A word about them (since we are always reading your reactions and seems as if you have doubts, questions, concerns, etc.) RELAX! -AMEX PRE SALE = for cardholders only and for a LIMITED time only! If you are a card holder, you will be allowed to purchase tickets with your AMEX , visit ticketmaster.com for more information. -VIP TICKET PACKAGES = We will be offering a once in a lifetime opportunity, ALL details will be revealed on FRIDAY 5/2, so be sure to check back at NKOTB.com for more information. THIS IS NOT PART OF THE AMEX PRE SALE. -TOP TICKET PRICES *EXCEPT VIP PACKAGES* WILL BE $75/ticket. You are seeing a lot of brokers out there trying to capitalize on your excitement and the hysteria. Fact is, they don't have tickets, since they haven't gone on sale! 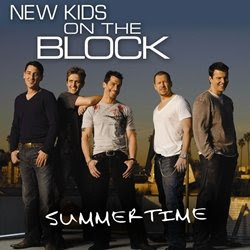 MOST IMPROTANTLY - RELAX AND HAVE FUN - NEW KIDS ON THE BLOCK ARE BACK! REMEMBER, VISIT NKOTB.COM for INFORMATION FIRST! SIGN UP & STAY TUNED! I just listened to Z103.5 to hear "Click Click Click" go in the "Head 2 Head" challenge, but the New Kids must not have released the song to the radio station since they played the half New Kids/half Nasri version that has been circulating the internet for the past few weeks. So as far as I know the complete New Kids version has not been released anywhere yet. Update, 6:30PM: NKOTB won for the 3rd night in a row! VIP TICKET PACKAGES will be available starting Friday May 2. 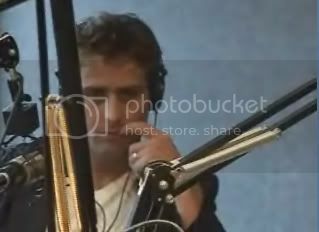 I put up some new clips of the Bert Show talking about the New Kids (these are from last Friday and this morning). Click here to listen. 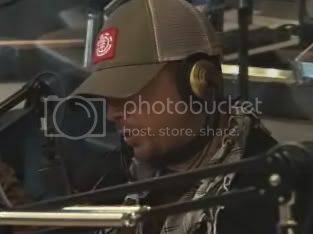 Visit http://www.allthehitsq100.com/bertshow/ to download the interview (they are better quality than the ones I posted earlier). The first single will most likely be "Summertime"
About 7 shows will go on sale in the next couple weeks. Cities that are most likely to be included are New York, Boston, Philly and Chicago. RedOne can sing "Hangin' Tough" and "You Got It (The Right Stuff)" as well as the next New Kids on the Block fan. Growing up a musical omnivore in Morocco, the up-and-coming producer says he liked everything from Bob Dylan to heavy metal to boy bands. 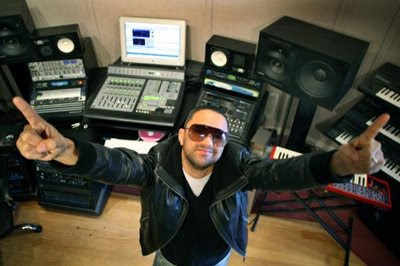 But when it comes to the Boston group's forthcoming reunion album, RedOne is more interested in looking ahead than back. But whichever way he looks, he is excited. "The whole album is full of good music that people will embrace," he declares ecstatically more than once during a visit to Cybersound studios on Newbury Street last week, where the Globe got an exclusive sneak preview of several new New Kids songs. And RedOne isn't just partial to his tunes; he calls tracks by fellow producers Emmanuel Kiriakou and Nazaree "beautiful" and "amazing." For those who remember the New Kids as, well, kids, "they are definitely going to surprise some people, I think," he says. Born Nadir Khayat, the producer moved from North Africa to Sweden in his late teens to work his way up in a Swedish pop music scene that helped create sounds for Britney Spears and 'N Sync, among others. He has done remixes and production work for Shakira, Akon, and Christina Aguilera and, after his stop in Boston, was headed to New York to put in his two cents on the ever-gestating Michael Jackson album. Like a kid hopped up on his favorite candy, RedOne sings along, conducts, and air-drums to his collaborations with main New Kids music man Donnie Wahlberg. RedOne was in town to put the finishing touches on the songs, recorded over the last several months in various LA studios, for presentation this week to the band's new label, Interscope. He invited us in to hear several songs that are vying for a spot on the disc, due later this summer. The final track list has not been set. "Looking Like Danger" If you didn't know this was a New Kids song, you'd be hard-pressed to guess, thanks to up-to-the-minute production. A wailing siren and a heavy, descending synth line give way to a tingly, high-hat-driven dance beat, as a spoken-for protagonist laments a temptress who looks like an angel "but the devil comes out when you dance with me." While a certain boy-band film clings to the harmony vocals, the killer hook should have Justin Timberlake nodding in approval. "Big Boy/Big Girl" (featuring Lady GaGa) If they're not considering this one for a single, they should. An uptempo dance track that sounds like a boy-band cousin to Kanye West's "Stronger," "Big Boy" has got a heated groove that's all fuzzy staccato synths and clattering drum beats. Newcomer Lady GaGa gives as good as she gets, flirtatiously wailing alongside the boys. In a sly wink at the now-30-something female New Kids fans, the song tells the tale of a man and woman who've known each other since adolescence, appraising each other with adult eyes and liking what they see. "Sexify My Love" RedOne calls this work-in-progress a "grown song." Indeed, if there are any lingering doubts about their status as men, this midtempo seduction track will lay them to rest, as the guys propose trying "every position we can dream of" in multiple locations with a lady friend. The salacious come-ons are softened by shimmering harmonies and ethereal faux strings. 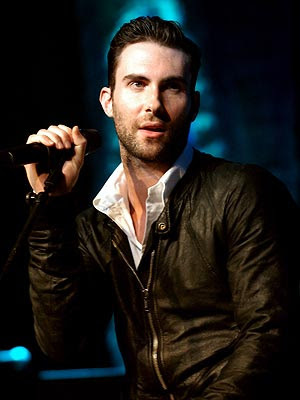 "Summertime" Although RedOne didn't produce this, he gave us a taste of his mix of the reported first single. Of the tracks we heard, this is the least sizzling, most typical of the group's earlier, fresh-scrubbed incarnation. With a laid-back, reggae-tinged rhythm, some sweet, almost doo-wop vocals, and a group chant, it gives off a late-season barbecue soundtrack vibe. 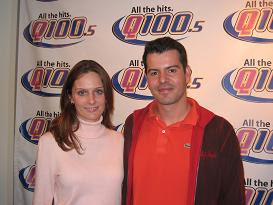 This is Bert from the Bert Show on Q100/Atlanta. 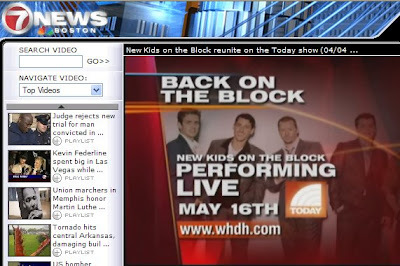 I thought NKOTB would be cool if we shared some inside info with you guys before we put it on the air. It took her twelve hours but our Producer, Tracey Peluso, DID track down your boys today! And they were totally cool with talking with us on the radio. Some highlights? There WILL be a lot of choreography on stage during tour. Jonathan says he's the most out of shape and is having a tough time keeping up with the others. It was DONNIE that turned down doing a reunion at VMA's back in 1999. Lot's more that I'm sure you guys will have fun with. Bottom line? All the guys we're completely cool about being surprised by this radio producer that flew 3000 miles to meet them. We're playing the entire interview, it was about 15 minutes, at 7:15am tomorrow morning (April 25). 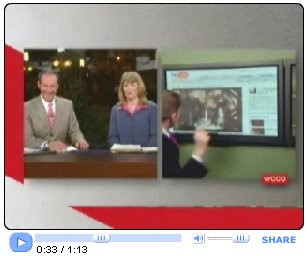 Here's the website if you need it again: http://allthehitsq100.com/ The morning show is on from 5:30 to 10 Eastern time. f2R Variety will be having a very special 2-Hour New Kids On The Block Day Show! 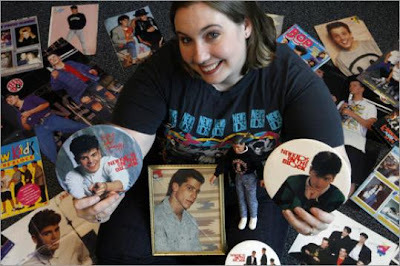 Beka will be interviewing special guests associated with NKOTB, including original members of Marky Mark & The Funky Bunch, Perfect Gentlemen, and Homework. Not only will they share stories and favorite memories, but also you will hear what they're doing today! Other special guests include Stray from Straycat Promotions and NKOTB Security Guards. In addition, you will hear fan questions and favorites from around the world! Z100 Zootopia Tix Just Released! THIS JUST IN! WANT TO SEE NKOTB IN CONCERT? AMAZING TICKETS HAVE JUST BEEN RELEASED FOR Z100s ZOOTOPIA! GET THEM WHILE YOU CAN. Apparently the New Kids on the Block are in LA. 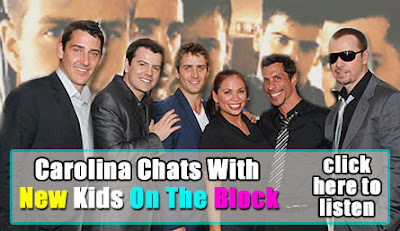 Yesterday a fan posted on the nkotb.com forums that an Atlanta radio morning show was sending one of their members to LA to try to track down the New Kids for an interview. So the station must have been tipped off about their whereabouts. Now, this morning there was a post that a fan spotted Jonathan and Jordan at the Starbucks in the 3rd Street Promenade in LA yesterday (April 22). 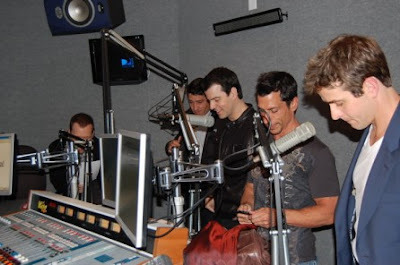 Click here for photos (You will need to be logged in to nkotb.com to view). That radio station mentioned above is Q100 and you can listen live on their website http://www.allthehitsq100.com/. The morning show is on from 5:30am to 10am eastern time. 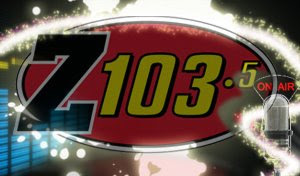 Update: 8:47am - Q100 says that they were told when and where the New Kids were doing a photo shoot and that was how the morning show producer, Tracey, was going to track them down. However, they canceled their photo shoot, but they are still sending her to LA to try to get an interview. Another Update: 10:55am - The fan who met Jordan and Jonathan last night said they had a camera following them around for a TV show documenting the time from the reunion announcement up to the Today show concert. No word on what when it'll air or what station it'll be on. Are you ready?………..That’s the question we asked you. Am I ready?……..that’s the question I asked myself since talk of a reunion! These past week’s responses have me now saying “absolutely!” The warm reception given to us at the Today Show and the posts on NKOTB.com convinced me that this was truly the right choice. Never in my wildest dreams would I have thought there would be so much love and support from all of you 20 years later. I am so grateful that I was able to have such an experience in my twenties. Now as I countdown to forty (Yikes! ), here we go again. I look forward to seeing the world again……….. this time through the eyes of a man! I am so excited and can’t wait to see you all in person. Keep coming back to our site, here you will find more blogs from us, and, get the latest news and information. Seen around townNew Kid on the Block Donnie Wahlberg put his feet up at the Park Plaza the other day, and later posed with the hotel's marketing man Greg Clark . . .
NKOTB fall tour will be "at least 40 arena dates in the US"
Thanks to Julie32 for letting us know! Once you get over the weirdness of hearing new New Kids on the Block material in 2008, well, you never really get over that. But hoopla aside, “Click Click Click,” which appears to be the first single from the man band’s forthcoming summer reunion album “Back on the Block,” shouldn’t leave a huge impression beyond a sigh of relief for fiending fans. On Tuesday, the song was leaked on the Internet. By yesterday, it had been taken off legitimate Web sites at the insistence of the group’s Universal label, though it can still be found streaming online with a little persistence. Fans will have to wait until May 16 to see the 40-something Kids in action when they give their first public performance in 14 years on the “Today” show. Boston will get its fix of Jordan, Jonathan, Joey, Donnie and Danny two days later at the sold-out KISS 108 Concert at the Tweeter Center, which also features Sean Kingston, Wyclef Jean and Boys Like Girls. So should you go clicking in search of “Click Click Click”? Well, the sound of the love ballad is decidedly now (What, you were expecting “Hangin’ Tough 2.0”?) with an atmospheric synth line and a drum track that borrows some tips from Ne-Yo’s people. But it’s the laid back vocal work that tells us what we really need to know. “I don’t deserve you girl,” Jordan croons before declaring that he wants to take a mental shot of this moment. Suddenly it feels like we’re back in 1989 again. Which isn’t exactly a bad thing. At least not to the 70 million former teens that snapped up the Boston boy band’s albums in the late 1980s and early 1990s. Here is a youtube video from CBS Mobile Daily Delivery that asks celebrities (Kris Jenner, John Melendez and Ross the Intern from the Tonight Show) what they think about the New Kids on the Block getting back together. 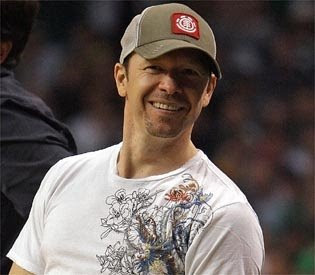 [Tracked Down] New Kids on the Block biggie Donnie Wahlberg, in town to film a NKOTB TV segment, taking in the final Celtics season game at the TD Banknorth Garden. 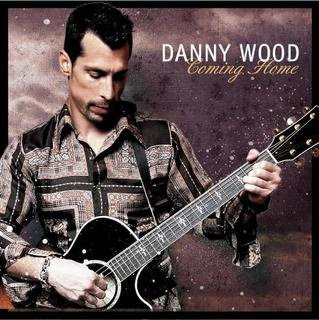 Danny's new album "Coming Home" is now available for pre-order at Waterfront Records. Click here to order. 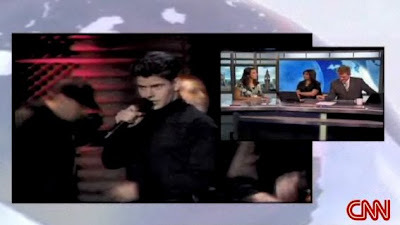 I heard that NKOTB was on this week's episode (#1401) of on Best Week Ever on VH1. Go to http://www.vh1.com/shows/dyn/best_week_ever/series_showtimes.jhtml for show times. These are older (from 1994), but here are a few odd video clips that feature members of the New Kids on the Block from the BBC Saturday morning children's show "Live and Kicking". Videos uploaded by putthetellyon. Entertainment Journalist Kiki King joins CNN to discuss New Kids on the Block's planned tour and new album. This isn't the one from "Showbiz Tonight". It appears to be on the British version of CNN. 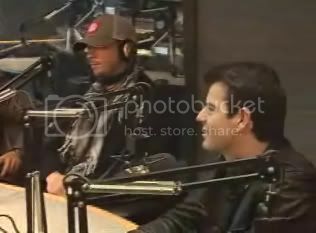 I saw this posted on the Jordan Knight UK site. We just finished The Today Show and I can’t believe how incredible the fans were today!!! The LOVE was crazy!!!! If anyone watched on TV…Believe me it was COLD and WET!!! So, to have so many people come out for hours and hours to support us was very humbling. We are really lucky to have our fans behind us after all this time. I do have mixed feelings about appearing on the show. Obviously the response was great and I am happy for that. I was, however, very frustrated that we could not lead with our new music first!!! We’ve been working so hard on this album and I am personally so proud of what we’ve done. I can only say this-To all the loyal fans out there…To all the folks who are not fans but maybe curious…And even to the skeptics…This album will be well worth the wait. We obviously want this experience to be great for ourselves, but it is really important to us that it is a great experience to all of our supporters. The only way we can repay you is to give you the best that we have. So for now…You will not see me again until you have heard NEW MUSIC!!!!! 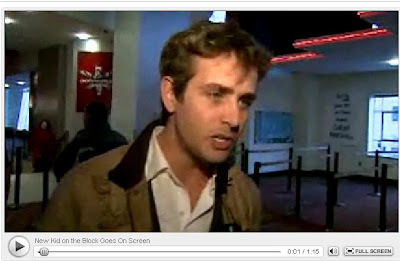 Brief New Kids mention on "What the Buck Show"
I'm gonna take a wild guess that if you are coming to this site, you've probably heard the news about "The Block." This here is official. Nice to finally let the cats out the bag. Last Friday was a trip to say the least - In one rain soaked moment, we were instantly reminded of the very special connection we have with our fans. As I think you can tell, we are having a good time; otherwise we wouldn't be doing it. Behind the scenes, there's alot going on- music mostly, finishing up the album, photo shoots, putting the live band together, choreography of course, picking a first single and talking about a video. All important things that sometimes get five different opinions. But usually after a couple of black eyes and loose teeth, we work it out. Needless to say, I'm excited to see it all roll out. And if we're excited, I trust you guys are too. Its been cool to bump into people wherever I go, who share their stories and tell me they can't wait for the tour and to hear the new music. 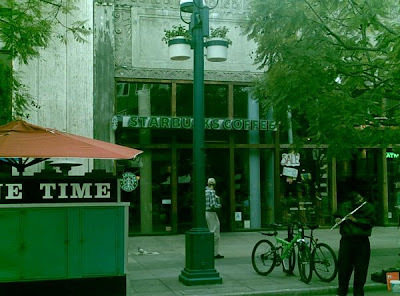 Timing is everything and it sure feels right. I think we- meaning you and us- are at a place where we can really enjoy this. 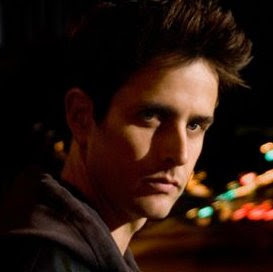 In other Joey news, the Boston Herald is reporting "that New Kid on the Block Joey McIntyre won the Phoenix Film Festival’s award for Best Breakthrough Performance for his lead role in the made-in-Boston flick “On Broadway.”"
Rumor: NKOTB to appear at the Red Sox Game today? Anyway, the game is at 2PM (Eastern). I don't know if the singing of "God Bless America" (usually mid 7th inning) will make it on TV, but if you're in Boston or the surrounding areas, it airs on TV on NESN. Or if you're around Detroit (the team the Red Sox are playing) it airs on FSND. 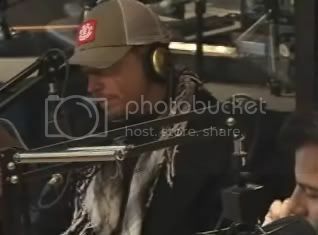 New Interview Carolina from the "Morning Zoo"
They also have a bunch of photos from their visit as well! Win backstage passes and tickets to Zootopia! Z100 has an opportunity to win a chance to backstage to meet New Kids on the Block, walk with them to the stage and watch their performance from the side of the stage! Visit http://zootopia.z100.com/pages/contests/superfans.html for details! Here is a youtube video courtesy of sameese79 of the New Kids on E! 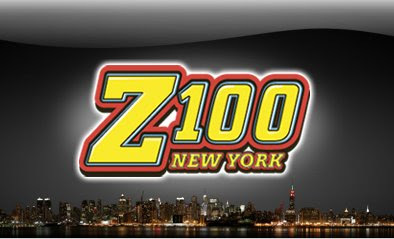 Just a reminder, from what I've heard the New Kids are supposed to be on Z100 at 5PM today (airing a previously recorded interview), and are also going to featured on Entertainment Tonight and the Insider today. I want to start off by saying I am so thankful and feel blessed to have this opportunity again. I feel like I have won the lottery twice. We finally have the chance to give all you guys what you have always deserved. I am also so excited to be able to share this experience with my kids. My children can finally see what everyone has been talking about over the years. To them I am just Pops; they are all very excited. It is also great to reconnect with the guys and share in this amazing ride. You guys have been so supportive over the years with everything we have done individually, I hope this is a way we can repay all of your efforts. Another radio mention! This is one is pretty positive. 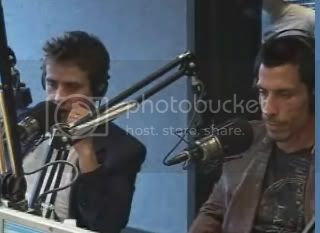 New video from "The Insider"
Also, nkotb.com says the guys will be on ET & The Insider on Monday. I asked around at nkotb.com to see if anyone heard about this, and a member said it was called off because too many people were there. New Kids at Club Rain? I'm finding this out after the fact, but the New Kids were rumored to be at Club Rain in Boston last night. I have not heard if they were actually there or not. Did anyone go? They're financial analysts, lawyers, and guidance counselors now, but when the news of a New Kids on the Block reunion tour broke, it all came back: the breathlessness, the palpitations, the need to wait in line and empty their piggybanks to buy tickets. Of course, the New Kids - Jordan Knight, Joey McIntyre, Donnie Wahlberg, Jonathan Knight, and Danny Wood - aren't exactly "kids" anymore, either. 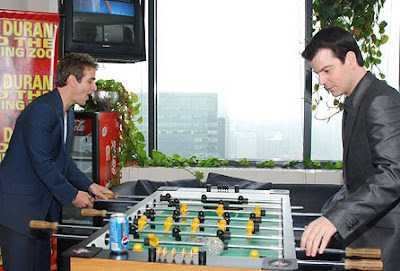 The youngest of the bunch, McIntyre, is 35, and the oldest member, Jonathan Knight, is 39. "I have a big group of friends who have been e-mailing me left and right," operations analyst Tara Hennessey, 34, of Randolph says of the reunion. "We're already talking about it and thinking if we know anybody that can get us tickets." To some, a reunion of the Boston-bred New Kids on the Block sounds like a publicity stunt for an aging boy band looking to reclaim some of its youthful fame. But for fans who watched yesterday's "Today" show, a New Kids comeback is the realization of a long-held dream. After a 14-year hiatus, the group will release a new album this summer and go on tour this fall. But first it will return to its old stomping grounds: the Tweeter Center on May 18 for the sold-out Kiss Concert. As 33-year-old Kristin St. John, a Hyannis native who now lives in Washington D.C., put it, the New Kids reunion is "almost like a bit of a closure." Meanwhile, other like-minded fans arrived in droves yesterday to a rain-soaked Rockefeller Plaza for the "Today" show announcement in New York, many holding up signs proclaiming their undying love. Two women held a placard announcing they had driven "all the way from Somerville." To put it in context for New Kids novices and skeptics, yes, this reunion is a big deal. And not just for Boston. 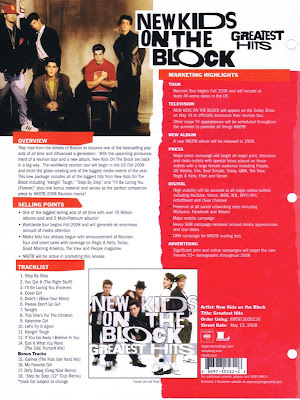 At its commercial height (1989-1992), New Kids of the Block sold 70 million records as well as buttons, T-shirts, lunchboxes, and even marbles with their images inside. And like the Beatles and the Jackson 5 before them, the band briefly had its own animated series. In 1991, Forbes named the fivesome the highest-paid entertainers of the year, besting Bill Cosby and Michael Jackson, thanks to a record-setting pay-per-view concert and sold-out stadium shows. Yesterday, it was a worldwide phenomenon all over again with fans posting messages and tribute videos on YouTube that included desperate pleas for the group to include places like New Zealand, Japan, and Hungary on its tour schedule. In another sign that the band could reach international fame again, major label Interscope Records (home to Gwen Stefani and Timbaland) will be releasing the new album, with veteran manager Irving Azoff (the Eagles, Christina Aguilera) guiding the comeback. The news is especially sweet for local fans. Michelle Smith, a 29-year-old guidance counselor at Haverhill High School, says she and her colleagues "were like giddy high school kids" when they heard about the reunion. She fondly remembers being a star-struck teen and persuading her father to drive her and their Costa Rican exchange student to Braintree to loiter in front of Wahlberg's house in hopes of securing an autograph. On Thursday, Smith was even able to find "the box," her collection of New Kids paraphernalia. In it, as she had hoped, was her Danny Wood doll. St. John is equally tickled and mortified at the memory of interviewing the group for a Barnstable cable-access show when the band played a concert at her high school in 1989. Her mother enjoys showing the tape of the interview to guests. St. John says with a laugh, "I don't blush; I'm beet red on that thing." Now an advocacy coordinator for the Arthritis Foundation in D.C., St. John says she is already planning to travel back to Boston to see her adolescent heroes. Mark Lamberti, 29, of Somerville will be in line, too, when tour tickets go on sale. He became a New Kids loyalist in 5th grade when he bought the band's Christmas album on tape, which, of course, included "Funky, Funky, Xmas." When he heard about the reunion, the financial analyst was thrilled. He even told off the haters in his office who questioned the need. "I'm like, those guys are awesome. I'm all about them," he says. Like Lamberti, most fans confessed to having never stopped loving the boy band, even after the great New Kids backlash of '94, when the quintet tried to toughen up its bubblegum image to appeal to an aging fan base gravitating toward hip-hop. Smith says she still wanted to dance to "I'll Be Loving You (Forever)" at her wedding a few years ago. "He said no," she said, referring to her husband. And while the excitement has returned for fans, as with all boy bands, critics are also weighing in. Nancee Jenne, who at 60 was never much of a New Kids enthusiast, still was fired up enough to post her doubts on a message board. She questions why Wahlberg, in particular, would want to revisit a past he seemed determined to shed to be taken seriously as an actor. 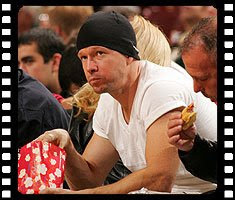 Since New Kids on the Block, Wahlberg has scored roles in films such as "The Sixth Sense" and the "Saw" franchise and the TV series "Boomtown." "For people that are changing fields like he has, I think they really have to work to earn people's respect," says Jenne. Even diehard fan Hennessey admits to initially wondering "what [are] they thinking?" but says she doesn't mind if it means she can relive her childhood for a night. "I'll feel like a teenager again," she says, already envisioning herself in the arena. "I think that's what the consensus is with all of the 30-something women: 'I can go back to my youth for a couple of hours.' "
Kiss 108 Interview and photos now up! Kiss 108 added the audio from this afternoon's interview. They also have 351 photos! They'll also be adding the video on Monday. New Kids on the Block will headline Z100/NY Zootopia, May 17, 2008 at The Izod Center, 50 State Route 120, East Rutherford, NJ 07073. 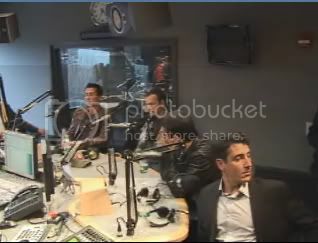 Here is a video from "The Insider"
They're on kiss 108 now! NKOTB to perform on May 18th in Boston! 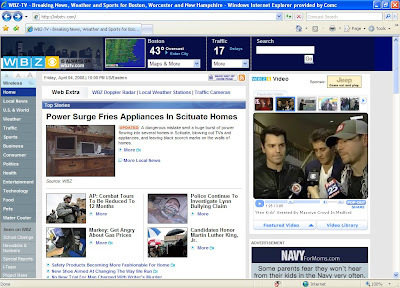 New photos at MSN too! New video interviews with Jordan and Donnie! Donnie on Kiss 108 tomorrow morning? New article from Boston Herald!